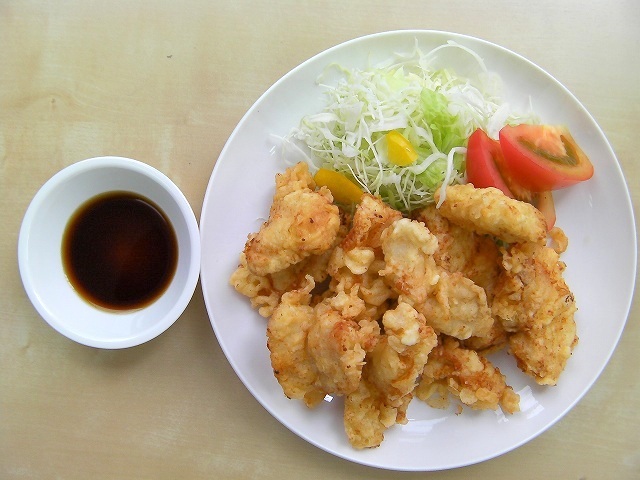 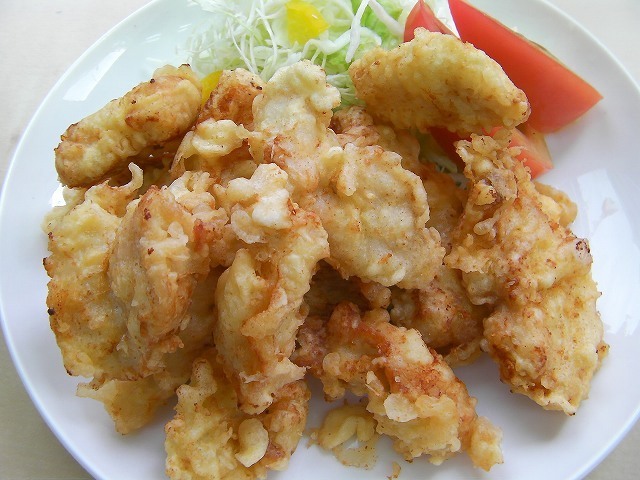 Tori-tem is local cooking in Oita, Japan.It is a typical Japanese home cooked dish.I do not know the difference between Tori-tem and fried chicken.I like Tori-tem only a little than fried chicken.Tori-tem go with Japanese sake.Let’s try to cook Tori-tem! 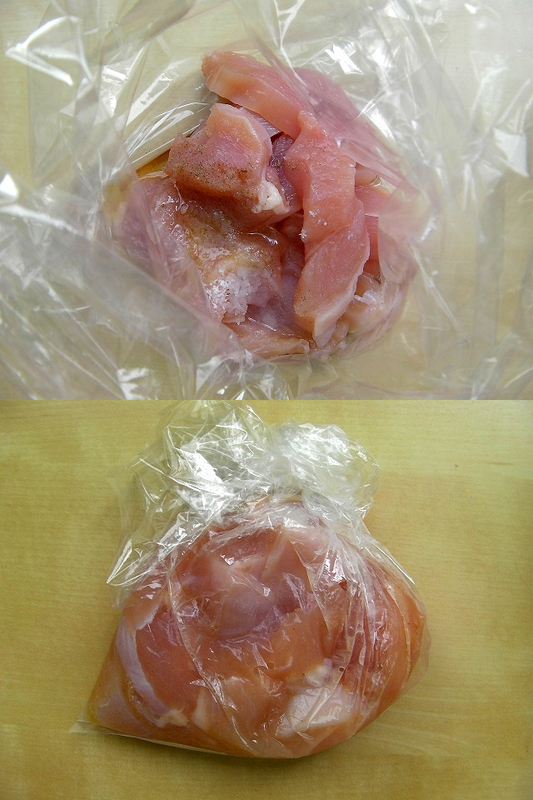 Poke holes into the surface of the chicken with fork.Cut the chicken into bite-size. Mix grated ginger, salt, sugar, sake, sesame oil, pepper and marinate the chicken.Blend the flavors into the chicken by rubbing.Leave for 20 minutes. For standard tempura batter, use equal parts egg-water and flour, sake, vinegar.Put the egg-water, sake, vinegar into a bowl and mix well, then add the flour and stir.It’s OK if some flour remains on the surface. 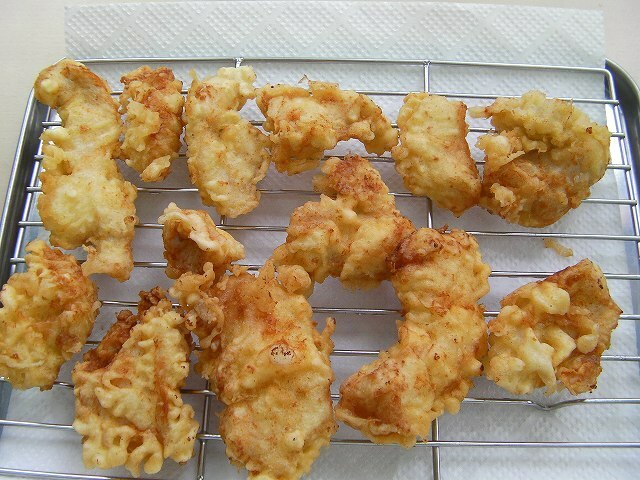 Heat the flying oil to between 170 and 180 degrees.Remove the excess moisture from the chicken and Batter the chicken.Let the excess batter drip out, then fry. 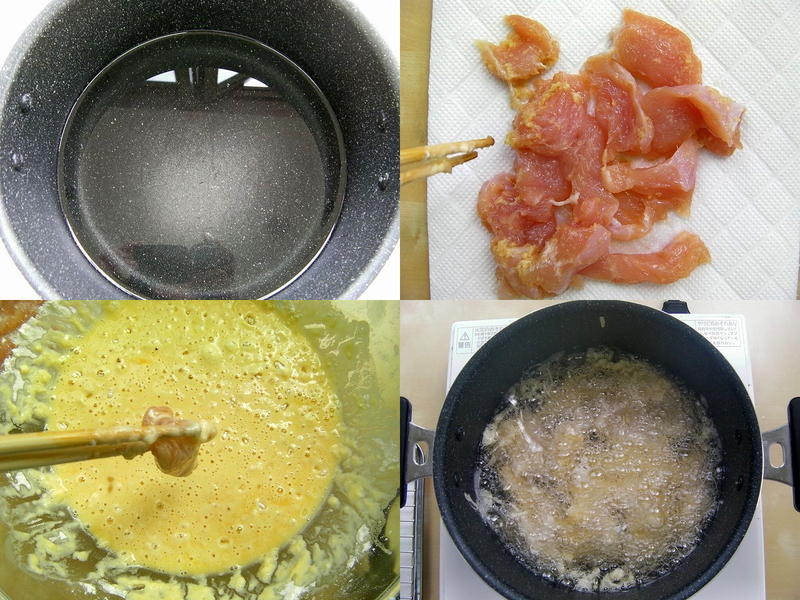 When the popping sound decreases and it looks crispy, remove from the oil. 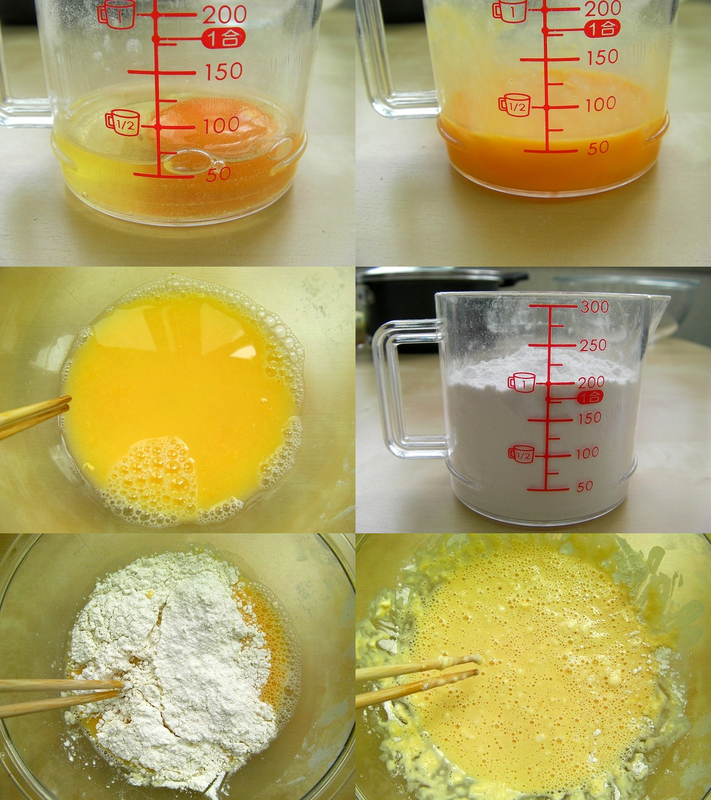 Place it on a rack, without stacking, and let the excess oil drain.Serve on a serving dish. 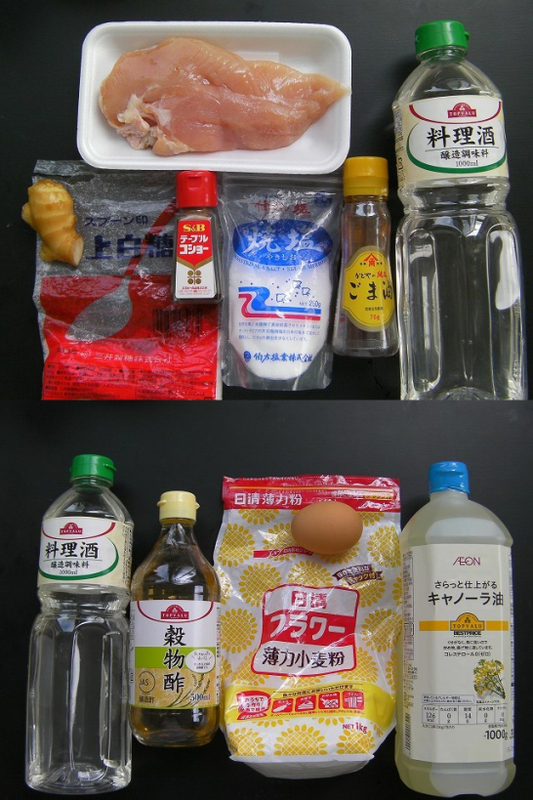 It is yummy when you eat with vinegar soy sauce or mustard soy sauce.